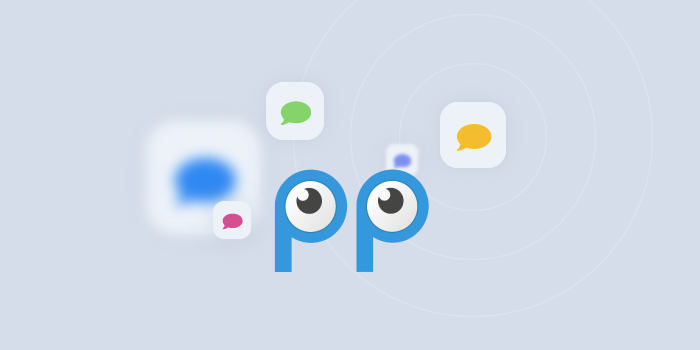 We’ve added previews of the last messages your visitors sent you. 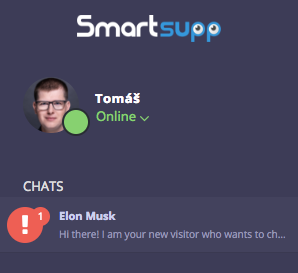 The preview shows both who the visitor is and their message, which makes it easier for you to know how the conversation is going without having to switch to them. Among your open chats, we distinguish between those that can no longer be answered because the visitor has left your website. This way, you can concentrate your attention on ongoing chats. The problem was that in one case you just joined the chat, in the second you just opened the chat. Now, we’ve unified it so that the moment you join the chat, you can start chatting immediately, either by clicking or writing the first message. We’ve made chat boxes smaller so that more messages can be seen on the page. Additionally, we’ve enriched the text fields with shortcut suggestions so you’ll never forget. We also thought of those of you who are used to using your mouse and added a button to send a click-through message. If you don’t know about this extreme time saver yet, read our instructions on how to work with shortcuts. You can open the shortcuts menu just like you did before, simply over the “.” on your keyboard. There is also short text help to reach it. The shortcut menu pops up above the text input field, so multiple shortcuts appear and you can navigate between them better. 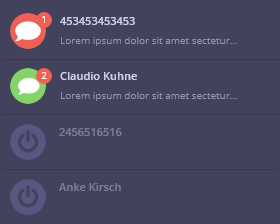 Do you need to add some information to the user after the chat? Simply search for the conversation in the history and edit it, or assign the data in the “Visitor info” tab.